With the growth of the online gaming industry and the influence of the internet in our daily lives, a lot of people are in need to be “connected”. Unfortunately, not everyone here in the Philippines has access to good hardware and a decent connection. But all of that is changing now, especially with the frenetic rise of Internet Cafes in our country. For the local MMORPG industry, roughly 80% of our business comes from the cafes. So it’s important to have a good relationship with our “partners”. I thought I’d share with you some practical tips on how to start (and maintain) your own Internet Cafe. 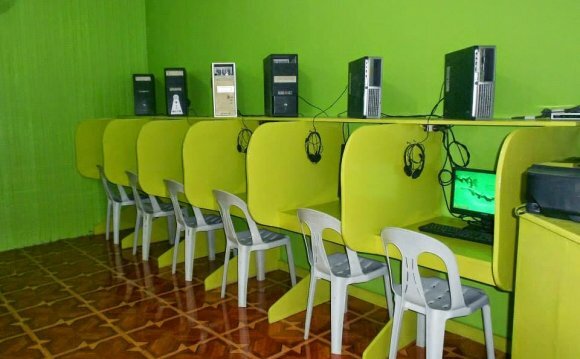 Budget – An internet cafe with around 20 seats will push you back P700 to P1M in capital. Of course, the more seats, the more money you will need. If you don’t have the cash, you can find partners to pool in money. I believe that the optimum number of partners for this project will be 4. Expect an ROI (Return of Investment) of 1 to 2 years. Also, I would suggest against forming a business with your close friends. The chances of ruining your friendship is high. Just note that. Location – Aside from the moolah, location is one of the KEY FACTORS FOR SUCCESS. Keywords to look for when scouting; near a school, heavy foot traffic, not too many competitors in the area. You should try to look for a place that’s easy to spot (from the customers perspective, ok?). A good monthly rental is P15, 000 to P25, 000 a month, more than that and you’ll have to work double time for the return. Hardware – Try to budget P25, 000 to P35, 000 per PC. Remember, I always tell potential entrepreneurs to “invest for the future”. Do not scrimp out on memory, processing power or video cards. The logic here is that a) okay, so you save a few bucks but your computers will be trash in less than a year and b) you should have a faster PC than your competitors – it’s your “edge”. And hey, if you can get LCD monitors for all computers, do so! The cost savings on electricity will more than pay for itself. Connection – again, a faster and decent connection in your cafe will be a key selling point. Don’t worry too much about marketing, if you have the best computers and the fastest connection in your area, sheer WORD-OF-MOUTH will drive customers through YOUR door. It’s a fact. So try to get the best kbps package that you can afford. Also, if you have the money, you can always get another as back-up in case your primary connection goes down.